The answer to fans’ prayers came this weekend when Bradley Cooper confirmed the news we’ve all been waiting to hear. And that news is yes, he will be performing his A Star Is Born duet, “Shallow,” with Lady Gaga at the upcoming Oscars. Just don’t expect Cooper to channel the easy confidence of Jackson Maine every step of the way. It would seem he has a classic case of stage fright over the ordeal. Cooper also admitted that, although he may have looked calm, he was full of nerves when Lady Gaga brought him onstage the last week of her “Enigma” residency in Las Vegas to perform an impromptu version of “Shallow” — one that quickly went viral and made fans more eager for a Cooper-Gaga collaboration at the Oscars. It’s not as though Cooper doesn’t have any experience, though. Per the New York Post, he and Gaga made a pact going into the film that they would sing live during their scenes and do so in front of real audiences at music venues when possible. That opening scene with Cooper’s Jackson Maine onstage? It was knocked out at the 2017 country music Stagecoach Festival in Indio, California. “That was filmed right in between Jamey Johnson’s set and my dad’s set,” reveals Willie Nelson’s real-life musician son, Lukas, who plays one of Maine’s guitarists in the film. 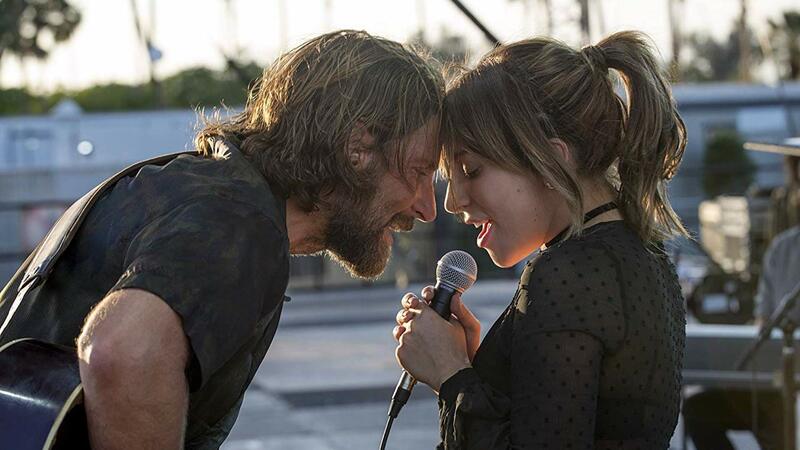 Other real-life performances used in the movie included a few minutes of Kris Kristofferson’s set at the Glastonbury Festival in Somerset, England, and during a Gaga set at Coachella. And hey, maybe performing at the Oscars will take Cooper’s mind off the anxiety-inducing fact that A Star Is Born is nominated in eight categories: best picture, best actor (for Cooper), best actress (for Gaga), best supporting actor (Sam Elliott), best cinematography, best original song (“Shallow”), best sound mixing and best adapted screenplay.